Kent Reliance has increased the rate on its 60-day notice deal, which now pays 1.60% yearly or 1.59% monthly. Savers must invest from £1,000 up to a maximum of £1 million. Withdrawals are permitted subject to 60 days’ notice being given and additions can be made at anytime. This deal can be operated in branch, by post and online. The 60-day notice account paying 1.60% from Kent Reliance is highly competitive and sits comfortably within the top 10 of the market. This deal is a great choice for those who are looking for a straightforward savings account; however, savers will need to budget carefully to ensure that they abide by the 60-day notice period. 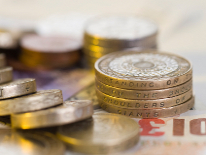 Julian Hodge Bank has increased the rate on its one-year fixed rate cash ISA, which now pays 1.80% yearly on a minimum investment of £5,000. Additions are not permitted, but early access is allowed subject to closure of the account and a penalty. Transfers in from both cash and stocks & shares ISAs are accepted. This deal is for savers aged 16 and over and can be operated in branch, by phone or by post. Savers looking for a tax-free home for their savings will be delighted by this latest launch from Julian Hodge Bank. Paying 1.80%, this one-year fixed rate shoots straight into the Moneyfacts.co.uk Best Buys. With the extra flexibility of early access, this is likely to be a popular choice for investors seeking an account for the shorter term. West Brom Building Society has amended its three-year fixed rate deal, which is now priced at 2.19% until 30.11.18. This deal is for first and second-time buyers only who borrow between £40,000 and £750,000 at 80% loan-to-value. A fee of £999 is payable, all of which can be added to the advance of the mortgage. An incentive package of free valuation (max £445) is available. This deal also has the flexibility to make overpayments. This 2.19% three-year fixed rate from West Brom Building Society is highly competitive and sits comfortably among the top five deals in its sector. With a reasonable fee and a good incentive package, it is little wonder that this deal will be a popular choice for many. Loughborough Building Society has launched a new two-year fixed rate mortgage, priced at 2.49%. This deal is for all applicants who borrow between £25,000 and £350,000 at 90% loan-to-value. A fee of £599 is payable, of which £100 is payable upfront. This deal has the flexibility of being able to make overpayments of up to 10% of the outstanding balance. Borrowers with a modest deposit of 10% will be delighted by the latest launch from Loughborough Building Society. Priced at 2.49%, this deal heads straight into the Moneyfacts.co.uk Best Buys. With a low fee of £599, this deal is likely to be a cost-effective option for many. Loughborough Building Society’s lending area does not include Scotland. Clydesdale Bank has lengthened its introductory deal on its Gold MasterCard, which now has a 26-month interest-free term for purchases. Purchases after the initial deal expires will then be charged at 18.9% APR. A 12-month interest-free balance transfer term is also available. This carries a fee of 3.00% (min £3.00). This latest update from Clydesdale Bank sees the Gold MasterCard offer the longest ever 0% deal for introductory purchases, heading straight to the top of the Moneyfacts.co.uk Best Buys as a result. This is a great choice for those planning a large purchase who are looking for an extra bit of breathing space.